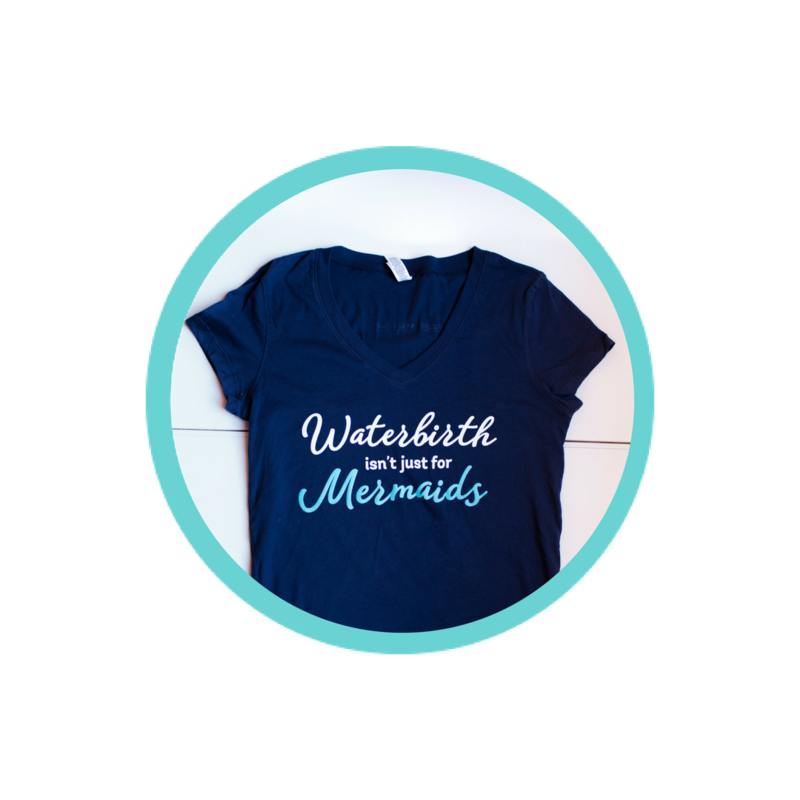 According to Dr. Christine Morton, author of the book Birth Ambassadors, a birth doula is a companion who supports a birthing person during labor and birth. Birth doulas are trained to provide continuous, one-on-one care, as well as information, physical support, and emotional support to birthing persons and their partners. How many people use doulas? In a 2012 survey that took place in the U.S., 6% of birthing people said they used a doula during childbirth (Declerq et al., 2013), up from 3% in a 2006 national survey (Declerq et al., 2007). Of those people who did not have a doula but understood what they were, 27% would have liked to have a doula. support to the mother, no matter what decisions the mother makes or how she gives birth. Labor support is defined as the therapeutic presence of another person, in which human-to-human interaction with caring behaviors is practiced (Jordan,2013). Importantly, the doula’s role and agenda are tied solely to the birthing person’s agenda. This is also known as primacy of interest. In other words, a doula’s primary responsibility is to the birthing person—not to a hospital administrator, nurse, midwife, or doctor. A doula can provide labor support via the four pillars of labor support. In the textbook Best Practices in Midwifery, the author describes three pillars of labor support as emotional support, physical support, and advocacy. In the book Optimal Care in Childbirth, informational support is also listed as a pillar of support. Advocacy is a pillar of support that is considered controversial by some for two reasons: first, the word advocacy has several meanings and definitions, and second, doulas differ on their beliefs about whether or not advocacy is part of their role. In an important paper about the concept of advocacy in the nurse’s role, Kalaitzidis and Jewell (2015) compiled all of the existing definitions of patient advocacy. They found that in the past, the most common definitions of advocacy were “pleading the cause of someone” or “speaking on behalf of someone.” Advocacy can also be defined as “supporting an individual or group to gain what they need from the system” or supporting a person in their right to self-determination. Advocacy has long been considered an essential component of the nurse’s role. However, while some doulas believe that advocacy is a part of their role, others have been specifically trained that advocacy is not part of their role at all. For many years, DONA International, the first doula training and certification organization, has stated in their standards of practice that advocacy is part of the doula’s role, as long as the doula does not speak on behalf of the client (DONA Code of Ethics, 2015). 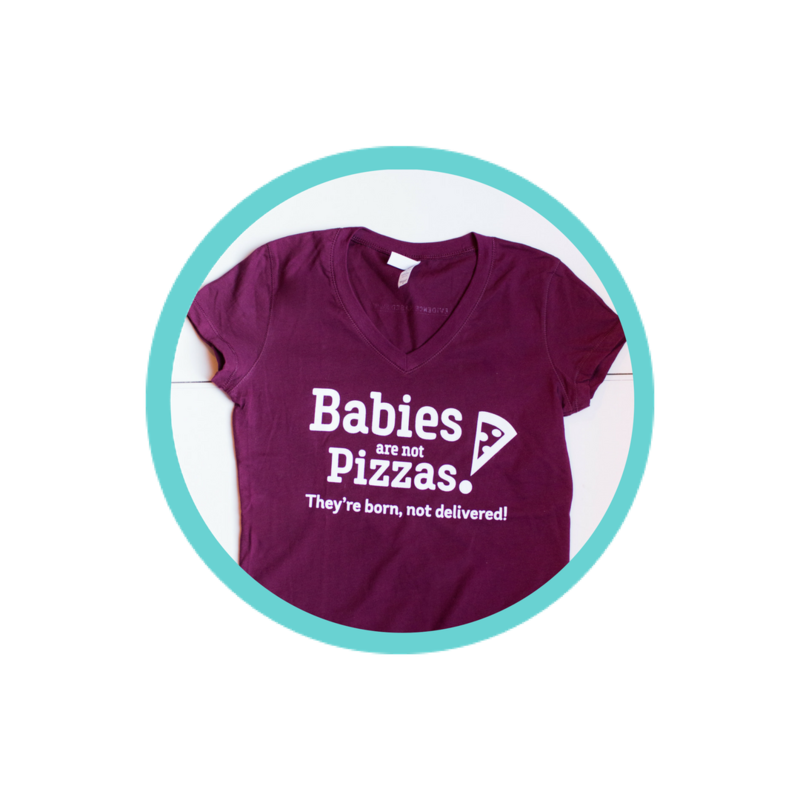 Advocacy is defined as supporting the birthing person in their right to make decisions about their own body and baby. 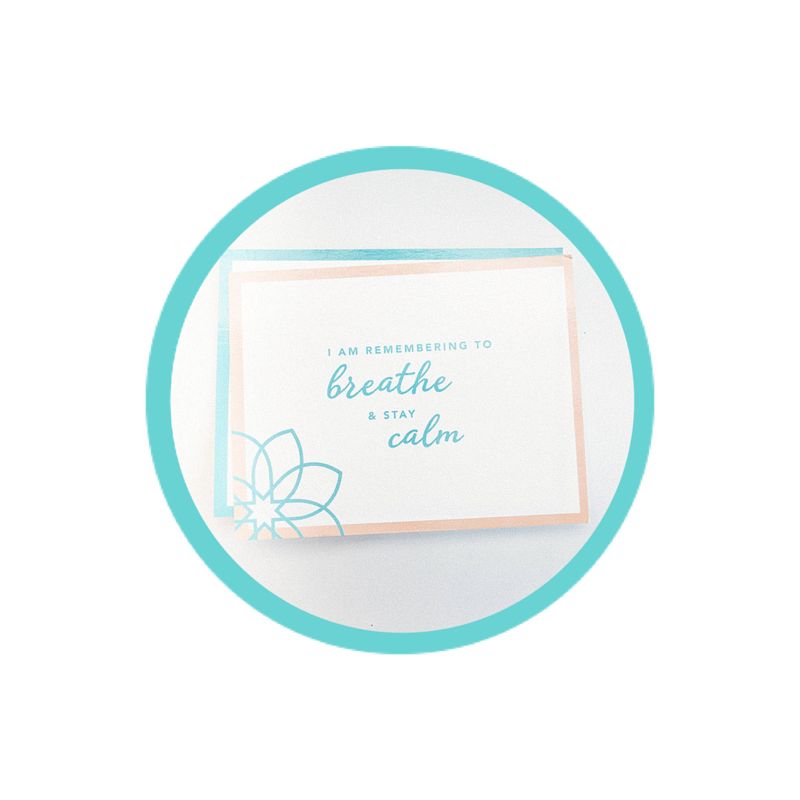 What is NOT included in doula support? What is the evidence on doulas? In 2017, Bohren et al. published an updated Cochrane review on the use of continuous support for women during childbirth. They combined the results of 26 trials that included more than 15,000 people. The birthing people in these studies were randomized to either receive continuous, one-on-one support during labor or “usual care.” The Cochrane reviewers stated that the overall quality of the evidence is low-quality, according to the GRADE systems for assessing evidence. In the GRADE system, the quality of evidence for each outcome is graded as one of four levels: high, moderate, low, or very low. A rating of high would be considered great evidence, where the authors are very confident that the true effect of doulas is very close to the effect seen in the study results. On the other hand, a rating of very low means that they have very little confidence in the findings, and that the true effect of doulas is likely to be very different than what was seen in the study results. The middle ratings aren’t great, but they aren’t weak either. 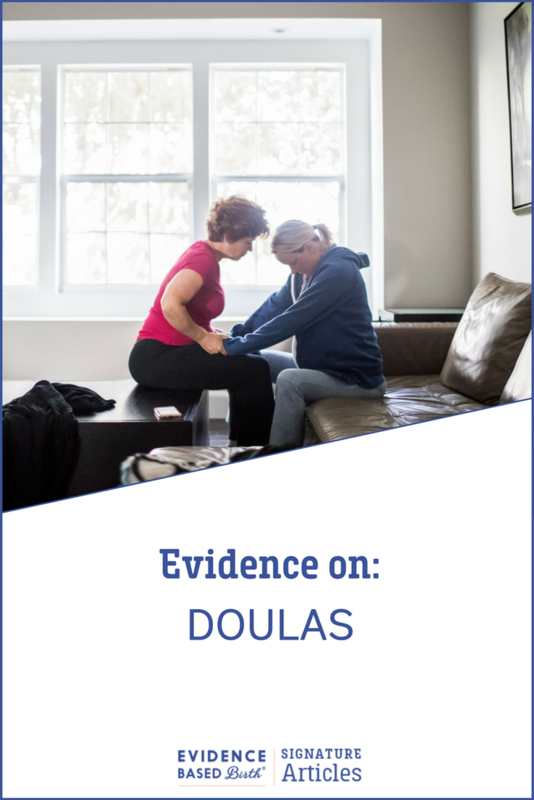 Since it is not possible to blind participants or care providers to continuous labor support, the quality of the evidence for doulas received a lower grade. Continuous support was provided either by a member of the hospital staff, such as a midwife or nurse (nine studies), women who were not part of the birthing person’s social network and not part of hospital staff (doula, eight studies; childbirth educators, one study, retired nurses, one study), or a companion from the birthing person’s social network such as a female relative or the woman’s partner (seven studies). In 15 studies, the husband/partner was not allowed to be present at birth, and so continuous support was compared to no support at all. In all the other 11 studies, the husband or partner was allowed to be present in addition to the person providing continuous labor support. 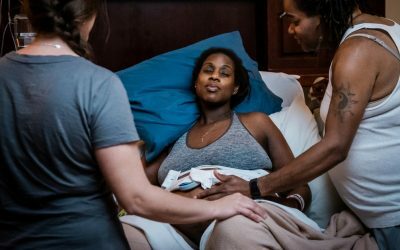 Overall, people who received continuous support were more likely to have spontaneous vaginal births and less likely to have any pain medication, epidurals, negative feelings about childbirth, vacuum or forceps-assisted births, and Cesareans. In addition, their labors were shorter by about 40 minutes and their babies were less likely to have low Apgar scores at birth. There is a smaller amount of evidence that doula support in labor can lower postpartum depression in mothers. There is no evidence for negative consequences to continuous labor support. The results of this study mean that if a birthing person has continuous labor support (that is, someone who never leaves their side), both mothers and babies are statistically more likely to have better outcomes! How did doulas compare to the other types of continuous support? The researchers also looked to see if the type of support made a difference. They wanted to know—does it matter who birthing persons choose for continuous support? Does it matter if they choose a midwife, doula, or partner for continuous support? The researchers were able to look at this question for six outcomes: use of any pain medication, use of Pitocin during labor, spontaneous vaginal birth, Cesarean, admission to special care nursery after birth, and negative birth experiences. The rate of special care nursery admissions was no different between people who received continuous support and those who received usual care. The rate of Pitocin was also no different but there was a trend towards more Pitocin with continuous support from hospital staff and less Pitocin with continuous support from a doula. It’s important to note that these decreases in risk are relative risk reductions—which requires you to carry out a math formula to understand the true reduction in risk. Relative risk is the risk of something happening to you in comparison to someone else. Absolute risk is the actual, or true risk of something happening to you. Why are doulas so effective? There are several reasons why we think doulas are so effective. The first reason is the “harsh environment” theory. In most developed countries, ever since birth moved out of the home and into the hospital, laboring people are frequently submitted to institutional routines, high intervention rates, staff who are strangers, lack of privacy, bright lighting, and needles. Most of us would have a hard time dealing with these conditions when we’re feeling our best. But people in labor have to deal with these harsh conditions when they are in a very vulnerable state. These harsh conditions may slow down a person’s labor and their self-confidence. It is thought that a doula “buffers” this harsh environment by providing continuous support and companionship which promotes the mother’s self-esteem (Hofmeyr, Nikodem et al. 1991). A second reason that doulas are effective is because doulas are a form of pain relief in themselves (Hofmeyr, 1991). With continuous support, laboring people are less likely to request epidurals or pain medication. It is thought that there is fewer use of medications because birthing people feel less pain when a doula is present. An additional benefit to the avoidance of epidural anesthesia is that women may avoid many medical interventions that often go along with an epidural, including Pitocin augmentation and continuous electronic fetal monitoring (Caton, Corry et al. 2002). This finding—that people with doulas are less likely to have an epidural—is not due to the fact that clients with doulas in these studies were more likely to want these things up front and were more motivated to achieve them. In fact, randomized trials account for these differences—this is why they are called randomized, controlled trials. The people assigned to have a doula, and those assigned to not have a doula, are randomly assigned, meaning that the same percentage in each group would have a desire for an unmedicated birth. A third reason why doulas are effective has to do with the attachment between the birthing person and doula which can lead to an increase in oxytocin, the hormone that promotes labor contractions. This theory was proposed by Dr. Amy Gilliland in her 2010a study about effective labor support. In personal correspondence with Dr. Gilliland, she wrote, “I believe the Doula Effect is related to attachment. When the mother feels vulnerable in labor, she directs attachment behaviors to suitable figures around her, who may or may not be her attachment figures (parent, mate). When the mother directs attachment seeking behaviors to the doula, the experienced doula (25 births or more) responds in a unique manner. She is able to respond as a secure base, thereby soothing the mother’s attachment system. The accompanying diminishment in stress hormones allows for a surge in oxytocin in both the mother and the doula… theoretically, oxytocin is the hormone of attachment, and it is released during soothing touch and extended eye contact, which are habitual behaviors of birth doulas.” (Personal communication, Dr. Amy Gilliland, July 2015). Swedish oxytocin researcher Kristin Uvnas Moberg writes that the doula enhances oxytocin release which decreases stress reactions, fear, and anxiety, and increases contraction strength and effectiveness. In addition, the calming effect of the doula’s presence increases the mother’s own natural pain coping hormones (beta-endorphins), making labor feel less painful (Uvnas Moberg, 2014). A recent study in Iran compared first-time mothers’ anxiety and pain levels with doula support to those without doula support (Ravangard et al. 2017). They randomly assigned 150 first-time mothers to doula support or no doula support and used standard questionnaires to measure anxiety and pain levels. They found that on average, the mothers who received doula support had less anxiety and lower average pain scores during labor. The authors concluded that the doula’s presence has a clinically meaningful impact on anxiety and pain levels in first-time mothers giving birth. They recommend that all hospitals and maternity care centers in Iran provide access to doulas since having a safe and calm delivery is considered a human right. Based on the evidence, I have come up with a conceptual model of how doula support influences outcomes. A conceptual model is what researchers use to try and understand how a phenomenon works. Here is my conceptual model on the phenomenon of doula support. How is a doula different from a labor and delivery nurse? 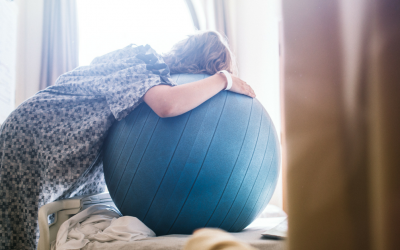 Nurses provide support when they can, but research has shown that labor and delivery nurses can only spend a limited amount of time in each client’s room. In one research study that took place in the U.S., nurses spent about 31% of a person’s labor in the room with them. The majority of the time that nurses were in the laboring person’s room, they were doing direct clinical care (such as administering medications or performing interventions), maintaining equipment, applying and assessing the electronic fetal monitor, or documenting at the computer. For 12% of each person’s labor, the nurse provided labor support including emotional, physical, or informational support, or advocacy. More experienced nurses were more likely to spend time providing emotional support (Barnett et al. 2008). Three other studies in Canada have found similar findings—that nurses spend about 50-75% of their time outside the birthing person’s room. In addition to caring for their assigned client, nurses have many other responsibilities, like communicating with care providers, taking care of other clients, covering for other nurses’ breaks, documenting care, and assisting on the labor unit as necessary (Gannon & Waghorn, 1996; McNiven et al., 1992; Gale et al. 2001). Nurses may also touch the birthing person in a variety of ways, some of which may be unpleasant, like having an IV put in or a cervical check done. Although all of these procedures are optional, they may not be presented as such. When and how a doula touches is up to the person giving birth, so the laboring brain probably anticipates and responds to the doula more positively over time (Personal communication, A. Gilliland, 2017). Nurses may also go off shift, at which point their support ends. Most doulas, on the other hand, remain with the birthing person through birth. Also, nurses are employed by the hospital and while they see themselves as patient advocates, they also have an interest in satisfying their employer, while an the primary responsibility of an independent doula (one not employed by the hospital) is to their client—the person giving birth. How is a doula different from having your partner/spouse there? Some people think that they do not need a doula because their partner will be with them continuously throughout labor. It is true that the birth partner is an essential support person for a birthing person to have by their side. However, the birth partner will need to eat and use the bathroom at times, and they are having their own emotional journey that requires support. Also, many partners have limited knowledge about birth, medical procedures, or what goes on in a hospital, while doulas have knowledge and experience about all of these things that they can use to inform and support both the partner and birthing person. Ideally, doulas and partners can work together to make up a labor support team. In one landmark study that evaluated the effects of doulas and fathers working together, researchers found that combining a supportive partner and a doula significantly lowered the mother’s risk of Cesarean compared to just having a supportive partner alone. In 2008, McGrath and Kennell randomly assigned 420 first-time mothers to have routine care (including a supportive partner) or care that also included a professional doula whom they met for the first time during labor. All of the women in the study were classified as having middle- to upper-class financial income levels, having supportive partners, and in the care of obstetricians. 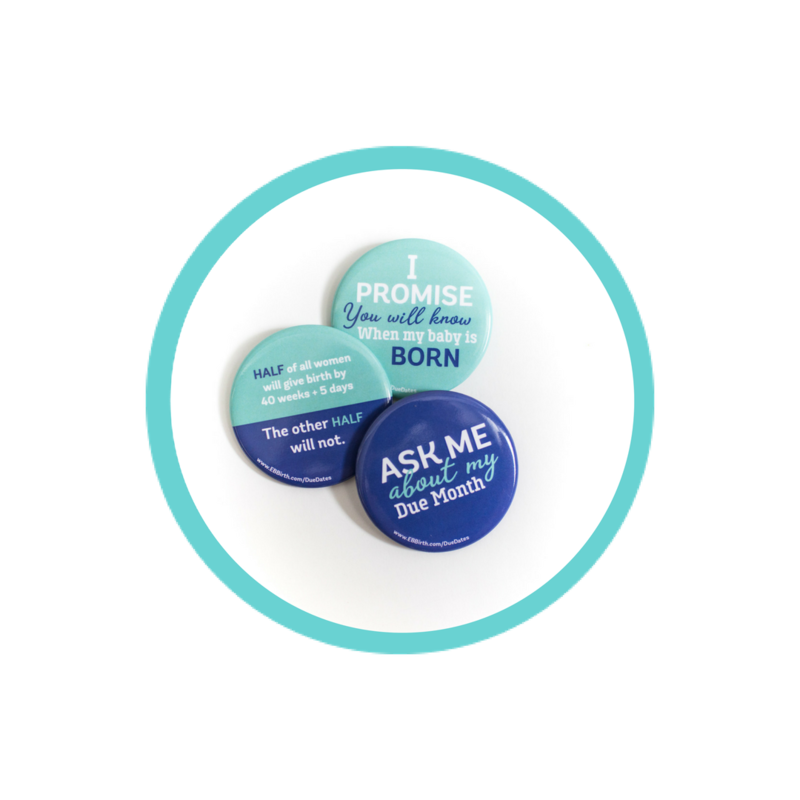 During labor, doulas provided continuous support, including encouragement, reassurance, and physical support. They helped the partner support the laboring person, and were careful not to take over the partner’s role. The results showed a substantial improvement in outcomes for women who had both a birth partner and a doula, compared to having a birth partner alone. The Cesarean rate for these first-time mothers was 25% in the group with a partner only, and 13.4% in the group with a partner and doula. The women who had their labor medically induced experienced an even more striking decrease in the Cesarean rate with a doula—the Cesarean rate with labor inductions was 58.8% in the group without a doula, and 12.5% in the group with a doula. Also, fewer women in the doula group required an epidural (64.7%) compared to those without a doula (76%). Research has shown that the most positive birth experiences for fathers were ones where they had continuous support by a doula or a midwife. In the McGrath and Kennell study, the women and their partners who had a doula overwhelmingly rated the support of their doula as positive—with 93% rating their experience with the doula as very positive, and 7% as positive. In other studies, fathers have said that when they had labor support from a midwife or doula, things were explained to them, their questions were answered, their labor support efforts were guided and effective, and they could take breaks from the emotional intensity of the labor without abandoning their laboring partner (Johansson, 2015). If you’re at all on the fence about hiring a doula, you may want to interview several doulas with your partner. Childbirth Connection has a great list of interview questions for a doula. The website DoulaMatch.net has a great search function for finding birth doulas. Of all the ways birth outcomes could be improved, continuous labor support seems like one of the most important and basic needs for birthing people. Providing labor support to birthing people is both risk-free and highly effective. Evidence shows that continuous support can decrease the risk of Cesarean, the use of medications for pain relief, and the risk of a low five minute Apgar score. Labor support also increases satisfaction and the chance of a spontaneous vaginal birth. Continuous support may also shorten labor and decrease the use of Pitocin. Although continuous support can also be offered by birth partners, midwives, nurses, or even some physicians, research has shown that with some outcomes, doulas have a stronger effect than other types of support persons. As such, doulas should be viewed by both parents and providers as a valuable, evidence-based member of the birth care team. Barnett, G. V. (2008). “A new way to measure nursing: Computer timing of nursing time and support of laboring patients.” Computers, Informatics, Nursing 26(4): 199-206. Bohren, M.A., Hofmeyr, G., Sakala, C., et al. (2017). “Continuous support for women during childbirth.” Cochrane Database of Systematic Reviews 2017, Issue 7. Art. No. : CD003766. Caton, D., M. P. Corry, et al. (2002). “The nature and management of labor pain: executive summary.” Am J Obstet Gynecol 186(5 Suppl Nature): S1-15. Declercq, E. R., Sakala, C., Corry, M. P., et al. (2007). “Listening to mothers II: Report of the second national U.S. survey of women’s childbearing experiences.” The Journal of Perinatal Education 16:9-14. Declercq, E. R., Sakala, C., Corry, M. P., et al. (2013). “Listening to mothers III pregnancy and birth: Report of the third national U.S. survey of women’s childbearing experiences.” New York: Childbirth Connection. DONA International. (2015). Code of Ethics: Birth Doula. Published at https://www.dona.org/wp-content/uploads/2016/09/COE-SOP-Birth.pdf. Accessed on July 24, 2017. Gagnon, A. J., Waghorn, K. (1996). “Supportive care by maternity nurses: a work sampling study in an intrapartum unit.” Birth 23 (1): 1-6. Gale, J., Fothergill-Bourbonnais, F., Chamberlain, M. (2001). “Measuring nursing support during childbirth.” Am J Matern Child Nurs 26(5): 264-71. Gilliland, A. L. (2010a). “ A grounded theory study of effective labor support by birth doulas. In Human Development and Family Studies, Vol. Doctorate University of Wisconsin, Madison, Wisconsin, pp. 452. Available at the bottom of this page. Gilliland, A. L. (2010b). “After praise and encouragement: Emotional support strategies used by birth doulas in the USA and Canada.” Midwifery, 27(4): 525-31. Gilliland, A.L. (2016) “What motivates people to attend birth doula trainings?” J Perinatal Educ, 25(3), 174-183. Goer, H. and A. M. Romano (2012). Optimal care in childbirth: the case for a physiologic approach. Seattle, Washington, Classic Day Publishing. Click here. Hodnett, E. D. (2002). “Pain and women’s satisfaction with the experience of childbirth: a systematic review.” Am J Obstet Gynecol 186(5 Suppl Nature): S160-172. Hofmeyr, G. J., Nikodem, V. C., Wolman, W. L., et al. (1991). “Companionship to modify the clinical birth environment: effects on progress and perceptions of labour, and breastfeeding.” BJOG 98(8): 756-764. Johansson, M., Fenwick, J., & Premberg, A. (2015). “A meta-synthesis of fathers’ experiences of their partner’s labour and the birth of their baby.” Midwifery 31(1): 9-18. Jordan, C. (2013). “Therapeutic presence and continuous labor support.” In Best Practices in Midwifery, Ed. by Anderson, B. A. & Stone, Sjourna. E.
McGrath, S. K. and Kennell, J. H. (2008). A randomized controlled trial of continuous labor support for middle-class couples: effect on Cesarean delivery rates. Birth 2008; 25:3. McNiven, P., Hodnett, E., O’Brien-Pallas, L. L. (1992). “Supporting women in labor: a work sampling study of the activities of labor and delivery nurses.” Birth 19(1): 3-8. Morton, C. H. and Clift, E. G. (2014). Birth Ambassadors. Texas: Praeclarus Press. Ravangard, R., Basiri, A., Sajjadnia, Z., et al. (2017). Comparison of the Effects of Using Physiological Methods and Accompanying a Doula in Deliveries on Nulliparous Women’s Anxiety and Pain: A Case Study in Iran. The Health Care Manager, Vol. 00, No. 0, pp. 1-8. Uvnas-Moberg, K. (2014). Oxytocin: The Biological Guide to Motherhood. Texas: Praeclarus Press. 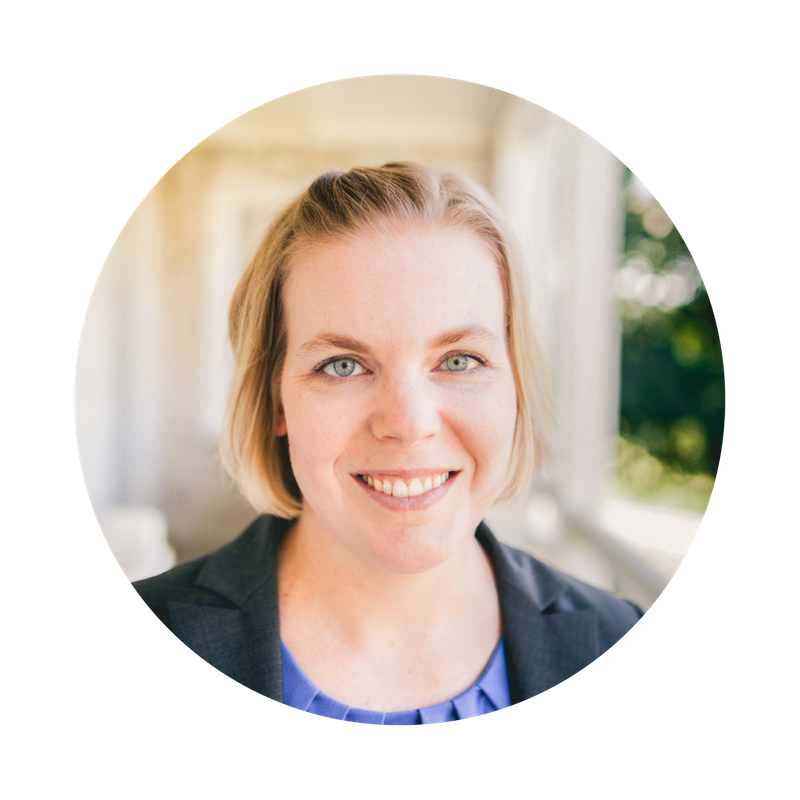 We would like to extend our gratitude to our expert reviewer for valuable feedback and critique of this article before publication: Amy Gilliland, PhD, BDT(DONA). We would also like to thank Cristen Pascucci for her medical editing assistance. What are the potential benefits of movement and upright positions during labor for pain relief? We’ll go over the evidence, including what studies have found about the effectiveness of birth balls and dance labor. We’ll also discuss several professional guidelines on movement and positions during labor. Do we have research evidence on how often painless birth occurs? We will discuss what we found and go over the evidence on factors that can shape pain perception during childbirth. We’ll also look at the complex relationship between effective pain relief during labor and maternal satisfaction with the birth experience. 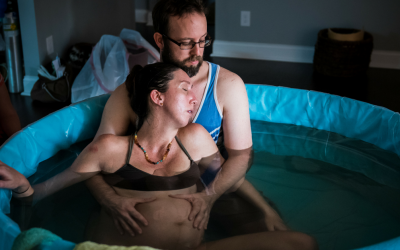 In this video, we discuss hydrotherapy in a tub, birth pool, or shower as a pain relief option during labor and/or birth. Does water immersion during labor provide effective pain relief? Is it commonly used? We go over the research evidence as well as recommendations from several professional organizations.